First National Bank Tanzania (FNB) launched a new mortgage home loan scheme to help Tanzanians who struggle for long term financing to buy a house. 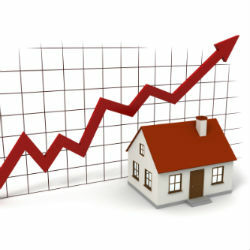 Loans will cover for up to 80% of the value of the property and span for a period up to 20 years, the bank said. The applicable interest rates will vary and depend on the borrower’s risk profile and the information provided by the credit bureaus operating in Tanzania. According to Oscar Mgaya, CEO of Tanzania Mortgage Refinance Company Limited (TMRC), a mortgaging institution comprised of Tanzanian banks, up until recently, commercial banks in Tanzania failed to offer mortgage products due to a number of reasons including unfriendly laws and lack of long term funding. Accoridng to Bank of Tanzania (BOT) lastest mortgage update of December 2013 the mortgage market in Tanzania has been growing steadily and as at 31st December 2013 total lending by banking sector for the purposes of residential housing was TZS 156.50 billion, which represents an annual growth of 46%. The total number of mortgage loans also grew rapidly, from 1,889 at the beginning of 2013 to 2,784 by end of December 2013, being an increase of 47%.